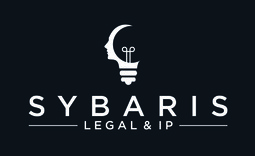 Sybaris Legal & IP can also assist you in arranging cyber insurance, to protect your other intangible assets such as your data and your reputation. We deal with all the leading cyber insurers in the London and Lloyd's Markets, including insurers which provide cover for SME's and micro businesses starting at only a few hundred pounds per annum. We also arrange more bespoke solutions for larger companies, which include multiple layers and high limits of indemnity. - Liability claims from third parties in connection with breaches, losses of data, or inadvertent spreading of viruses or other malware.